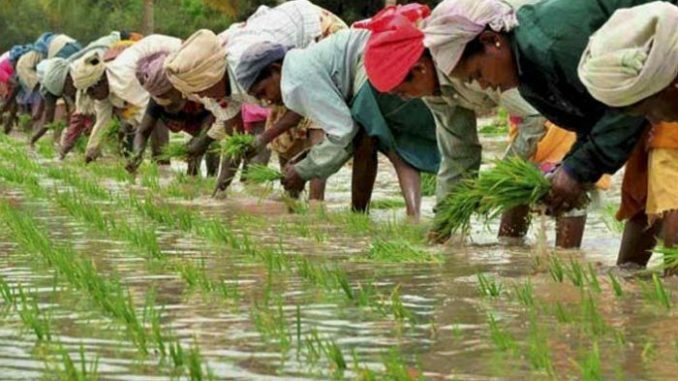 NEW DELHI: Taking a cue from PM Narendra Modi’s call to bring more and more farmers under crop insurance to mitigate risk, the agriculture ministry has planned to bring in modified guidelines to fasttrack implementation of the ongoing scheme and increase its coverage to 50% of the gross cropped area in 2018-19. The ministry will also hire 20-odd professionals to ensure that all issues related to the Prime Minister Crop Insurance Scheme are addressed comprehensively as inordinate delay in claim settlement and even non-payment of claims on flimsy grounds continue to be problems. Though the coverage under the scheme has consistently been increasing with 30% of the gross cropped area being covered in 2016-17 as compared to 23% in 2015-16, it’s not uniformly implemented across the country due to varying degree of interests shown by states. The PM on Tuesday noted that as much as Rs 11,000 crore claims had been settled under the crop insurance scheme which was double of the past amount if one looked at per hectare or per farmer claim amount figures. “There has been good response to the scheme. The coverage has increased” minister of state for agriculture Gajendra Singh Shekhawat said.